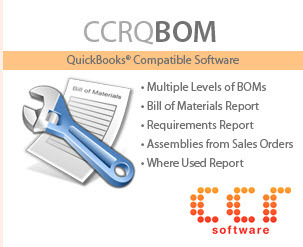 QuickBooks 2010 R6 Update – 64 Bit QuickBooks PDF Fix and More! At long last Intuit has released the QuickBooks 2010 R6 update to Manual update. This update has a long list of fixes, many that have been VERY anxiously awaited. I’ll review the major changes as I see them (there are more than I list here). Automatic update usually follows a few days later. PDF Driver: The big change for some people is that they have fixed (hopefully) the PDF Driver for 64 bit PC’s, and for Windows 7 users. This has been an extremely vexing problem for many users, and this revision should take care of most of the problems. It works on my test system – but I’ll note that a lot of people had problems that I never ran into on my test system. Let us know if it works for you! System Crashes: A large number of changes have been made to improve system reliability, fixing bugs that cause some systems to freeze or crash. If you have had intermittent crashes in QB 2010, you should consider getting this update soon. User Licenses Icon: Some people may not think this is a “major” change, but it has bugged a LOT of people. You can now permanently remove the User License icon from the icon bar. Prior to this, if you deleted it, after restarting QuickBooks it came back. Please note that this revision does not make major changes to the database manager – that is, you don’t have a major conversion issue as we have sometimes run into in the past year. This is a relatively straight-forward update to implement. I’m going to summarize what I see as the important changes here. For a complete listing of changes see the Intuit/QuickBooks update page. Updating from Prior Versions: There are a number of bug fixes that take care of problems when people are upgrading a company file to QB 2010 from prior versions. Backups: A number of errors that occurred when trying to make a backup file have been resolved. Payroll: Quite a few bug fixes and updates here. As always, if you are using the Payroll features, it is very important that you update to the latest release of QuickBooks. One nice addition: You can start a payroll run, save the work that you have completed, and then finish your payroll later. Paychecks are not committed until you finish the entire payroll run. Client Data Review: A number of bug fixes and speed improvements in this very useful tool. Company Snapshot: Some performance improvements and some bug fixes. Intuit Statement Writer: A long list of bug fixes and improvements to this tool. Multi-Currency: A number of bug fixes here. If you use this feature then you really should get this update. 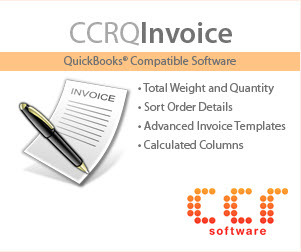 Note, however, that there are no major changes to how QuickBooks works with multiple currencies. Labels: The print dialog box for printing labels now has a “Number of Copies” option. Memorized Reports: Several changes here. When creating and memorizing reports from the Transactions tab of the Customer Center, changes are now retained. Also, memorized reports will now retain filters for custom fields. Sales Tax Reports: Sometimes some people would get an error “Too many transactions in group” – this is fixed. In general terms, I always recommend that you wait to update until the revision has been in use for a few weeks. Why be the first person to find a new bug? Intuit hasn’t had the greatest track record lately – a number of new bugs have been introduced with revisions. Let’s see if this is stable and bug-free. I will note that there has been quite a lot of attention in Intuit lately to resolve this kind of situation. If you don’t need any of the fixes, consider waiting a bit. On the other hand, there are some very important fixes in this release. If you are using QuickBooks to manage your payroll, if you are using the multiple currency feature, if you have been running into problems with the PDF drivers on a 64 bit system or Windows 7, you should consider installing this update. These are some big issues, and there are important changes here. But, before installing, make a backup copy of your file before you install the update, just in case there is an issue that pops up. I will note that I have been running a copy of the R6 update for a number of weeks now, and I haven’t come across any problems. I can’t say that I have exhaustively tested it – but nothing has popped up that I don’t like. I have not installed this in any client sites yet, so I don’t have a wide range of installations that test this. If you have any problems, be sure to post a comment here! UPDATE: See my article on QuickBooks 2011 and PDF drivers – the problem should be RESOLVED once and forall (if you upgrade). Via a very late upgrade to Enterprise 10, I received R6 on 3/29/10. You wrote earlier that Intuit pulled R6 back for a time. Do you know if the “new” R6 is different than R6 from 3/19/10 — and if so, if it is possible to update to the new R6 using manual update? Chris, I have no information on why it was released for a short time and then pulled back. I believe that what you got before is the same as you would get now. If there was a problem, I believe it was a problem with the installation process, not the release itself. BUT I can’t say for sure. I’m just guessing. Charlie, if I do inhouse payroll, should I update; or, will it come out in an auto update in a bit? Faye, my apologies, I don’t do a lot of work with Payroll. I would recommend that you look at the more detailed list of changes relating to Payroll at the download site, to see what might affect you. An added note- Intuit plans on putting this in Automatic Update mode on May 6. I hate to report this but I had pdf’s working with R5 and now that I updated to R6 printing pdf’s gives a printer selection error. Could you do me a favor and tell me what printer name R6 is using for pdf’s. Mine appears to want to use “Quickbooks PDF Converter 2.0” not 3.0. I was one of the people that was able to get this working on R5 with a combination of fixes. I tried deleting all pdf printers and then running the “install.exe” in the intuit program folder with no luck as well. Please let me know if you have any suggestions. Kevin, I’m sorry that you continue to have problems. On my current 64 bit test system, I have both the 2.0 and 3.0 drivers. I’m not sure how you are determining which one QB R6 is using. Make sure that the PDF driver (either one) is not your default printer in Windows. There are a lot of issues with Vista and Windows 7 and the printer drivers that people have seen, I can’t say if they are all resolved. I hate to make recommendations for your system as I don’t have my hands on it. One possible solution is to uninstall QuickBooks, remove BOTH PDF drivers, reboot your system, then go to the Intuit download site at http://support.quickbooks.intuit.com/support/pages/knowledgebasearticle/1006369. Get the proper version that matches your license. Run THAT install – which will start off with R6. This is better (perhaps) than installing R1 and then updating to R6. See what PDF driver is there, and make sure it isn’t the default printer. Please be aware that it is possible that when you run this reinstalled copy you may have to go through the product registration process again, and you may have to talk to the registration people. That is the best I can recommend from where I’m sitting, at this point. I’m running Pro 2010 on a new, XP Pro system, did the manual R6 update and sometimes I can print and sometimes I still get the “could not print to printer” error message. Once I get the error I’m never able to print again without closing QBs and rebooting the computer. Sometimes this works, sometimes it doesn’t. Should the QB PDF converter 2.0 be on NUL? I tried restoring to the Old DLL to no effect. Too bad this doesn’t work for Canadian versions. I’m ready to shoot someone over this pdf error. Reverting to a paper based journal and adding machine because it’s quicker, easier and actually possible to reconcile a bank account? PRICELESS! I was having MAJOR problems with the PDF Converter. Unable to print reconcilations, email, etc. The R6 update solved all those problems for me. I’ve only been using it for a couple of days, but all is well so far. QuickBooks still gives me the “Not Responding” message occasionally, but patience overcomes it. Have tried to install R6 (quickbooks 2010) twice. Each time I have experienced complete computer freeze-up. Support no help. The automatic update, manual update, or a new install? If it was an update, try uninstalling, downloading the new installer, and reinstall. The installer that you download will set you to R6 without having to do an update. I was able to email without problems until I updated to R6 on QB 2010 Premier and now I cannot. I am running XP 32 bit. Printing may have been canceled from another program. I have spent most of today either on the phone with Quickbooks deleting, downloading, installing over and over again. I’m now waiting for a call back because they didn’t want to wait while I added a new user so they could try something else. Did the automatic R6 update – running Windows 7 QB premier 2010 on 64 bit. This has appeared to fix saving .pdfs and emailing. Have yet to try the reconciliation-bank with it to see if that fixed the error I had with that. So far I am a MUCH happier camper. :o) Thanks Charlie!!! love your input. CHARLIE!!! I couldn’t find a place for this; however, I did the payroll update today (which had the NEW HIRE ACT supposedly fix), and after I went in to the payroll setup, it wouldn’t let me tag an employee as “qualified for the new hire program” unless the hire date was between 2/2010 and 12/2010. Well, we as a construction company have employees who qualified due to not working 40 hours in the time period specified and therefore I have been zeroing out the employer portion on them. They were, in fact, rehired and okayed for the new hire act. Well, I don’t want to change the date of hire to the date we REHIRED them, so what can one do? Faye, I’m glad that the R6 update resolved things for you. It works for some people, other people are still having issues of one sort or another. As far as payroll, I don’t work with that (which is why you won’t find discussions on this here) so I don’t have a recommendation for you other than to try the Intuit Community Forum, or to contact a ProAdvisor in your area for help. Still no luck even with the R6 update. I have tried all the other “fixes” as well. I am in Intuit hell! Anyone know a number for a US tech support for this issue? Matt, there are a lot of issues on 64 bit systems in general. I use a 64 bit system as my primary work system, and I’m constantly fighting incompatibilities with various software products and system drivers. You might consider contacting a local ProAdvisor for help, if you can find one who has some computer technical experience as well. Certified ProAdvisors have access to a higher level of support, usually US based, and that sometimes can help. I can email PDF files!!!!! I also had to add the install files to my QB program for it to work. My QB tech called me back this morning and she was really happy when I gave her my solution. Susan, if you are using the 2010 version, I’m surprised that the solution there worked. That is a variation of something I’ve talked about in earlier blog postings, such as in https://qbblog.ccrsoftware.info/2008/10/solving-quickbooks-problems-on-64-bit-vista/ (where I have a link to the same install file). I hadn’t tried that on the 2010 version since my installation of the 2010 version works fine on 64 bit with the latest release. Note, though, that you want to keep a copy of that driver EXE file on hand, because it is very likely that if you install an automatic (or manual) update in the future, that driver will be overridden by the newer driver, so you may have to reinstall the older driver. Charlie, thank you for the suggestion to make sure I keep a copy of the EXE. I’m not sure I’ll ever update again. 🙂 At least I’ll wait a month or so to see the problems that may arise and, of course, check back here. I am running XP Pro, 32 bit and upgraded (what an contradiction) to Enterprise 10 from Ent 9. Ever since my printer freezes NOT ONLY in QB but other programs. Not only PDF files either. I “upgraded” 4/12/10 installed the “magic fix update” on 5/6/10 and this is impossible. This does not happen all the time but on & off. My emails sometimes send and other times I get the DLL file not found. Plus, my computer is running VERY SLOW ever since the install. >$3,000 for the software and another $900 to upgrade – what a bargain. Is there a SOLUTION other than finding another software program? Charlie- QB Premier Contractor 2010 [Windows XP] has been running fine until yesterday when I had a problem saving a Purchase Order. I don’t use Payroll or any online features, including e-mail so do you think I should try R6? Charlie- I am running Windows XP Home Edition, Version 2002, SP2 [I think that is 32 bit but am not sure], QB Premier Contractors R5P. The problem was with one PO that I could not save- nothing happened when I used Saved and Close. If I tried to close the window I got stuck in an endless loop of “This Transaction has not been saved” selecting Yes did nothing so I finally had to say NO so I could close the window and the program. Of course I lost the PO. This is the first problem I have had since converting from 2006. I always have updates set to Manual and don’t install them unless they will correct a problem with a feature that I use. Since I don’t use any of the online services, including e-mail, and the Program has been running fine until this Error I have been reluctant to “update” to R6. I value your opinion. Will, that really has nothing to do with this article. I tried applying the R6 patch and got the following error message. No Version of QB was found to update. Canceling update. Not sure what to do. I have tried applying the patch with and without QB open. I had posted my question on the Intuit community and received feedback from you there, just hoping for some more help. I ran a manual update last night and downloaded the R5 update. When I opened QB and tried to install the update I receved the message that “QB was shutting down”. I am not able to apply this update. I am currently QB 2010 R4P, Vista 64 bit operating system. Not sure how to go about installing this update when it keeps shutting down QB. R5? They are up to R7 now. Not sure where you are getting R5 from. You might want to try the R7 update. Hard to say why you would be getting an error like that without having my hands on the system, there are a million picky little reasons why it might happen. I am in Canada if that makes a difference.?? I have applied the R5 upgrade, the latest one they show available for me and it seems to have fixed my pdf problems. Wendy, the Canadian versions are often on a different update schedule than the US versions. I don’t work with the Canadian versions except on rare occasions. So when I talk about “versions” and releases of QuickBooks in this blog, I’m talking about the US versions unless I specifically note otherwise. I am now unable to save to PDF or email PDF invoices using QB Pro 2010 Release 9B on Windows 7 64bit. It was working a couple weeks ago but now I am getting the same driver error I had encountered on earlier version/releases. I tried removing/reinstalling the PDF converter driver but that did not work. Any other suggestions? Thank you, Charlie. I followed the steps to manually assign the “NUL:” port to both the 300 and 400 versions of the PDF converter, updated the advanced settings, and made sure neither converter was set as the default printer. This seems to have worked. Chris, several things may be going on. Office 2010 and Pro 2010 don’t always work together well (some people make it work, others cannot), so that is one issue. I don’t think Intuit is officially supporting Outlook 2010 with Pro 2010 yet. Saving as a PDF – there are a bunch of possible reasons as this and other articles in my blog talk about. Depends on what kind of error message you are getting. We have a 5 computers networked using Quickbooks. I installed the R6 update this morning on one computer, now it says all other computers are running an older version and won’t let me on my quickbooks, while all the other computers can access it. None of the others were asked to install the update. Reva, why R6? That isn’t the most up-to-date version. Press F2 when you are in QuickBooks on each computer, see what the product revision is on each one. All should be on the same revision. 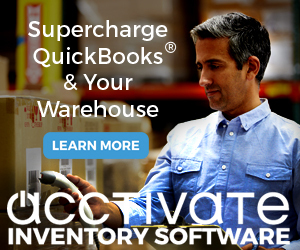 You can download the latest revision from the QuickBooks support site, or enable “automatic updates” on each of your computers. QB2010pro; R10P; Win 7; 64 bit. I installed QB2010pro recently on new hp laptop and restored my company from a different computer. First, it uninstalled my wireless printer. I had to reinstall my printer. I can reconcile accts however when the “Can’t print to printer” screen comes up – I press ok, “Can’t print to printer” screen comes up again – I press ok. Then it brings up the Congratulations! Your account is balanced. So I press print and it will print to my printer. It will also display the rec report. I tried to email a financial report to my accountant today and it tells me “Can’t print to printer” – I press okay and then it brings up a screen that says “Quickbooks was unable to convert your report to PDF.” I’m not sure where to start to fix this problem. Any suggestions? Since installing the latest update, we are having trouble printing some reports. They print small and in the upper left hand corner. and if so is it available at a cost ? I can’t help – I don’t work with the Canadian version. Better to upgrade to the most current release.